Just kiddin' I still have a play to read in class, and a short story to revise befoe I can legitimately bid goodbye to the first semester and join the hype of the Holiday season. But since I have a bunch of time to write extra today, I decided to publish one post with my string of thoughts about a book that I read eons ago and its movie adaptation that got released ages ago. 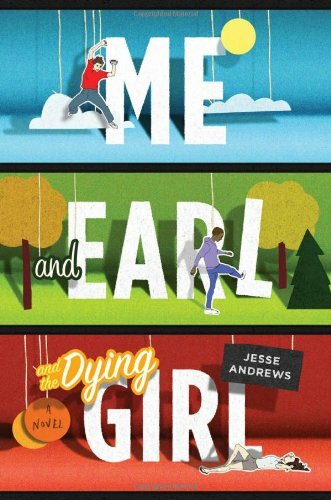 I'm talking about Me and Earl and The Dying Girl. Yes, that wonderful story. I read the book before I watched the movie. Way before the movie even got its movie. I think it has been two years since I read it. I found out about the book in a tumblr post (I can't remember which blog I found it from though) that talked about books like The Fault in Our Stars. The recommended books were categorized in the different ways you would like about TFioS, and MEatDG was under realistic teens with cancer (something like that). MEatDG, with its interesting title, made me search about its synopsis. The story is about Greg, a film maker(ish) guy who makes movies with his friend, or as he likes to call, his co-worker. His mom asked him to hang out with a girl named Rachel, a next door neighbor and a school mate who just got diagnosed with Leukemia. The novel is basically how their story unfolds through the time he spends with Rachel, and how she technically changes his life. I honestly thought it was going to be soemthing romance-y but it's not. I'm telling you, it's not a romantic read. But heartbreaking. It was heartbreaking and at the same time, warm. I can't completely recall all the feelings I had from reading the book but for all I know, I had the same heartbreaking feeling I had from reading the book which kept me up at night. Jesse Andrews' writing really just has the magic. My favorite character will always be Rachel, from the book and even in the movie. 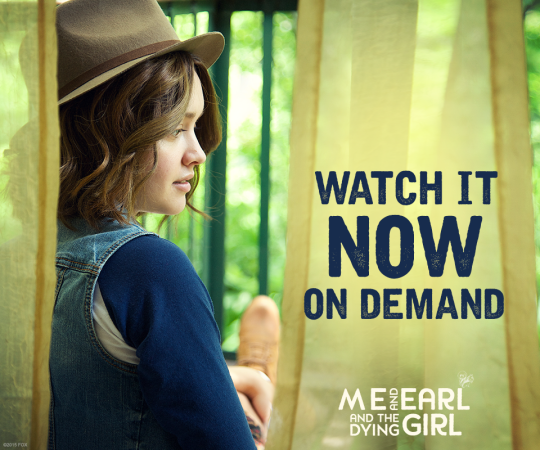 She was portrayed by Olivia Cooke (who did a great job) I feel like she was properly portrayed as a teen girl with cancer. Her hopelessness about not getting to think about the future the way other teens think sure hurts-- and in this story, it wasn't romanticized. I think seeing sick teens from this angle is an eye-opener of how life can be hard for them not just because their sickness is bound to take their lives away. Life is being taken away from them because their sickness is hindering them from seeing and taking on life from the angle they could choose. I liked this story overall because nothing was sugarcoated in the world of growing up. I appreciated how this tackled not just issues of growing up and not knowing what exactly you want to be in the future, and struggling to keep up with the pace of how unbearably long and short life can be when it gives you challenges. Overall, I wouldn't just suggest this to readers who want to read more about teenage characters with cancer. 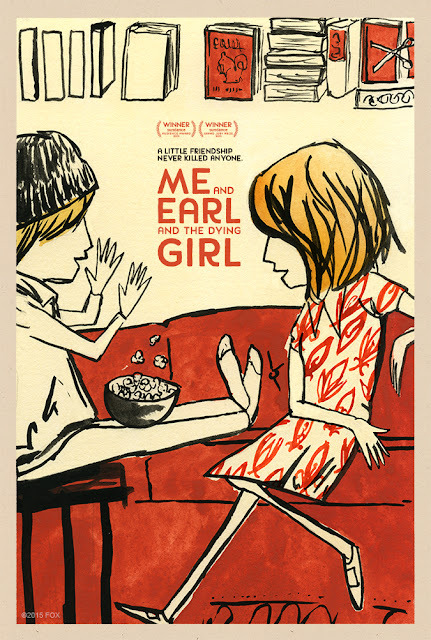 Read this o watch this if you're looking for a bittersweet story.